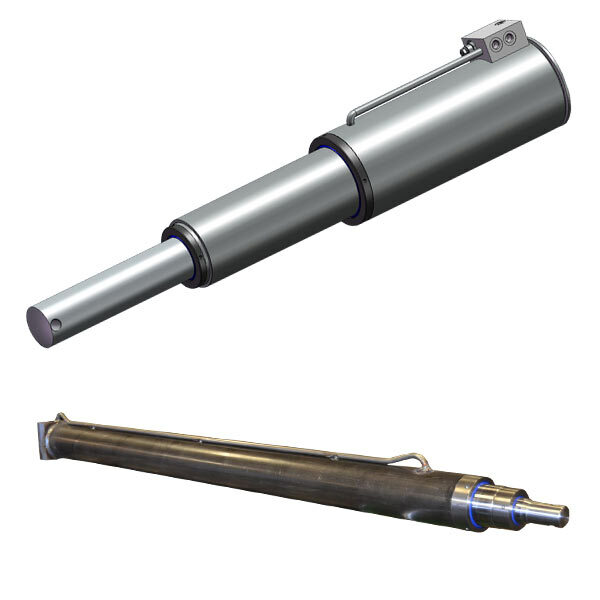 Telescopic cylinders are manufactured in single acting and double acting hydraulic cylinders. Similar to piggyback cylinders, telescopic cylinders can achieve long strokes while retaining relatively small collapse lengths. Multiple stages of extension enable these longer strokes to be achieved. Our Telescopic cylinders are available in 2 and 3 stage designs.